Burnished studs punctuate the cuff of a Western-inspired mule bootie fashioned with a mixed leather-and-suede upper, set on a chunky block heel and outlined in meticulous tonal topstitching. 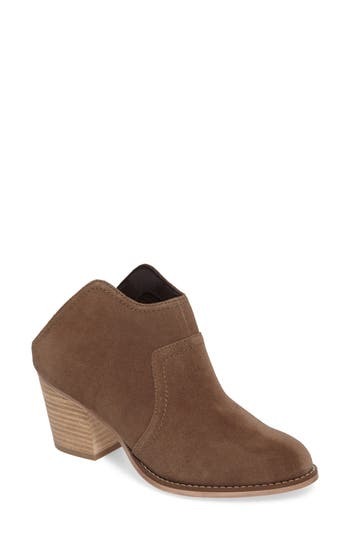 Style Name: Woolrich 'Kiva' Mule Bootie (Women). Style Number: 5122312. Available in stores. A stacked heel lifts a Western-inspired mule bootie fashioned with classic tonal topstitching. Style Name: Sole Society Caribou Mule Bootie (Women). Style Number: 5419534. Available in stores. A favorite clog is updated with a narrower heel cup, while maintaining signature comfort factors including a roomy toe box, antimicrobial leather lining and an anatomical platform. Style Name: Dansko 'Professional' Clog. Style Number: 260376 12. Available in stores. 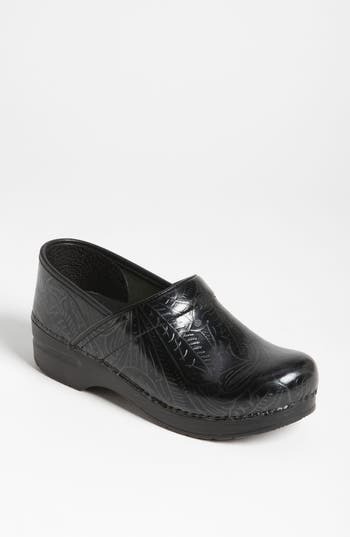 Comfy open-back clog is cut from smooth leather and features anatomical support with a rocker sole for all-day wear. 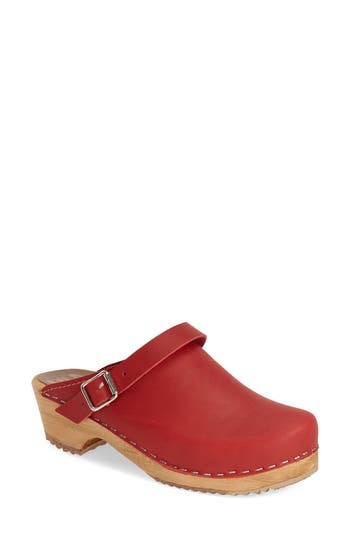 Style Name: Dansko 'sonja' Leather Clog. Style Number: 235225. Available in stores. Comfy open-back clog is cut from glossy patent leather and features anatomical support with a rocker sole for all-day wear. 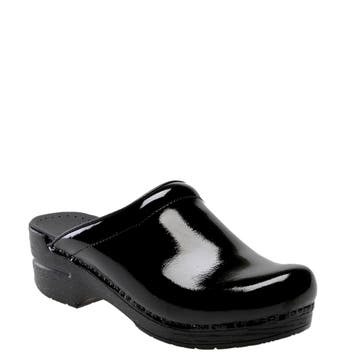 Style Name: Dansko 'sonja' Patent Leather Clog. Style Number: 282393. Available in stores. 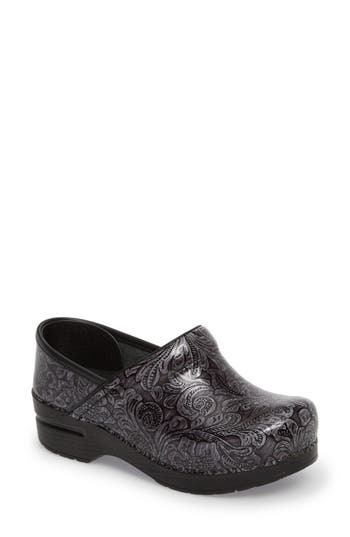 Etched floral design updates a favorite, comfort-minded clog designed with a padded anatomical footbed and roomy toe box. Signature rocker platform helps propel the foot forward as you walk. Style Name: Dansko 'Professional Tooled' Clog. Style Number: 260375. Available in stores. Smooth leather shapes a comfort-minded clog designed with a padded, anatomical footbed and roomy toe box. A signature rocker platform helps propel the foot forward as you walk, while a nonslip rubber sole ensures multisurface traction. Style Name: Dansko 'Pro Xp' Clog. Style Number: 546390. Available in stores. 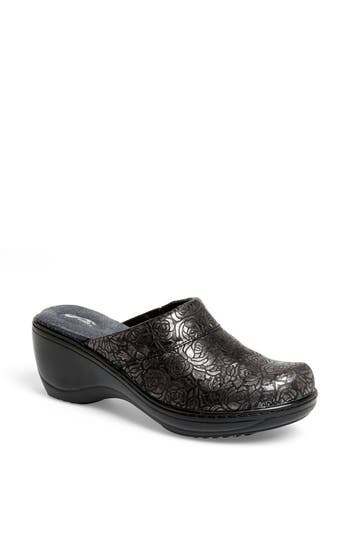 Floral-patterned leather shapes a comfort-minded clog designed with a padded, anatomical footbed and roomy toe box. A signature rocker platform helps propel the foot forward as you walk, while a nonslip rubber sole ensures multisurface traction. Style Name: Dansko 'Pro Xp' Clog (Women). Style Number: 822545. Available in stores. Favorite clog is updated with a narrower heel cup, while maintaining signature comfort factors, including a roomy toe box, antimicrobial leather lining and anatomical platform. 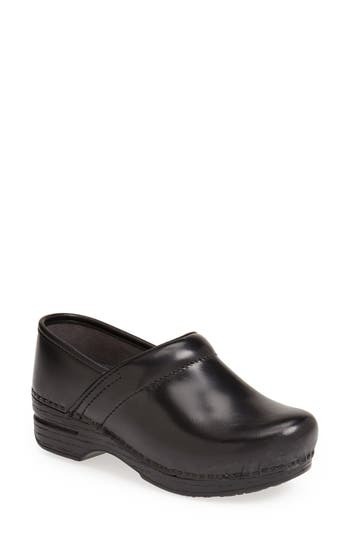 Style Name: Dansko 'Professional - Narrow' Oiled Leather Clog. Style Number: 260377. Available in stores. A boxy cap toe poses a striking textural counterpoint to the woven leather upper of a clog designed with a patented eggcrate footbed and supportive steel shank for ultimate around-town comfort. 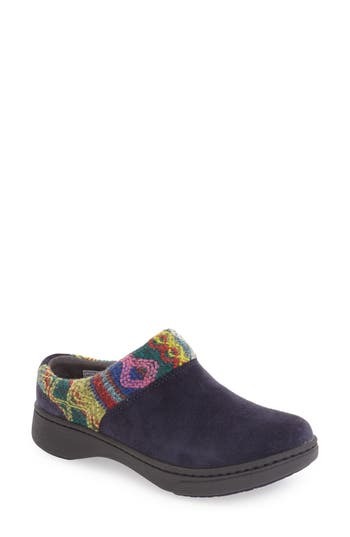 Style Name: Softwalk 'salina' Woven Clog (Women). Style Number: 831215. Available in stores. A favorite clog is updated with elasticized gore panels, while maintaining signature comfort factors including a roomy toe box, antimicrobial leather lining and an anatomical platform. Style Name: Dansko 'Piet' Clog (Women). Style Number: 5015965. Available in stores. A natural cork and latex footbed ensures proper weight distribution and support in a comfy clog designed to stimulate circulation and improve balance. 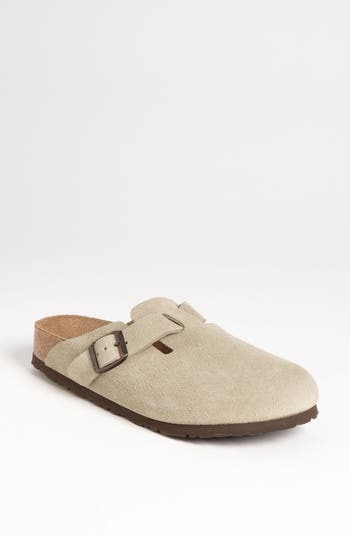 Style Name: Birkenstock 'Boston' Soft Footbed Clog (Women). Style Number: 579292. Available in stores. Lacy laser cutouts detail a leather quarter-strap sandal grounded by a single-piece woodgrain heel and platform for a '70s-inspired look. 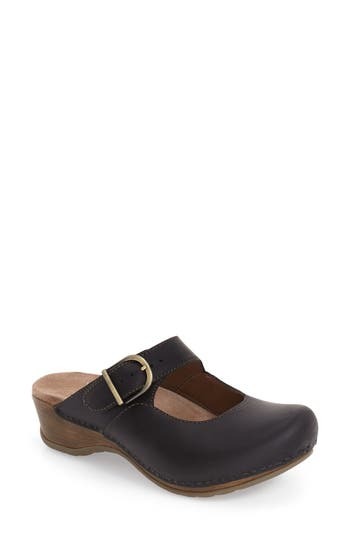 Style Name: Dansko 'Marta' Ankle Strap Clog (Women). Style Number: 5015970. Available in stores. 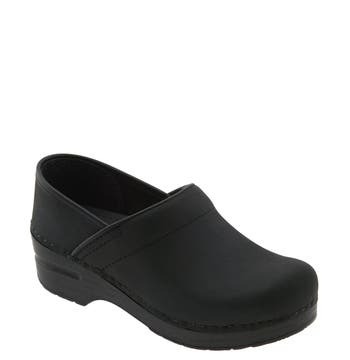 Inspired by the hard-working heroine of ABC's "Grey's Anatomy," a lightweight professional clog features a supportive dual-density memory-foam footbed and a slip-resistant flexible sole for comfort that outlasts any drama your workday may include. Style Name: Grey's Anatomy By Softwalk 'Meredith' Leather Clog (Women). Style Number: 1020828. Available in stores. This classic open-back clog features an unexpected mary-jane strap with a buckle closure, along with a cushioned footbed and roomy toe box for a comfortable fit. The signature rocker platform helps propel the foot forward as you walk. 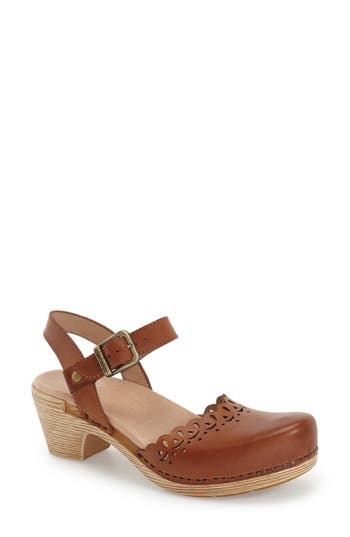 Style Name: Dansko 'Martina' Mary Jane Buckle Clog (Women). Style Number: 5129836. Available in stores. Plush genuine kangaroo fur lines a retro-inspired leather clog accented with golden studs and signature horsebit detailing. A classic wooden heel and adjustable slingback strap complete the luxe throwback look. 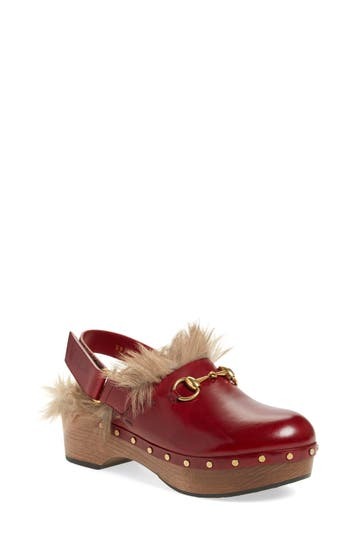 Style Name: Gucci 'Amstel' Genuine Kangaroo Fur Clog (Women). Style Number: 1162530. Available in stores. 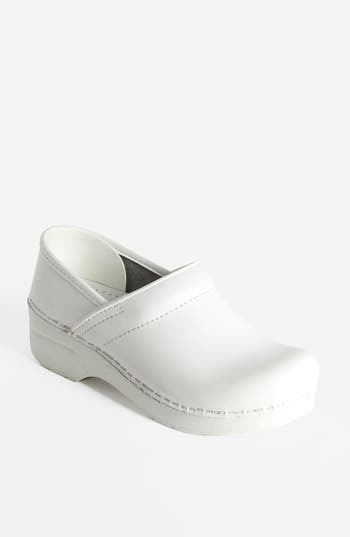 A roomy reinforced toe box and padded instep collar provide exceptional comfort, and the wide heel strike and rocker bottom provide shock absorption and stability in a patent clog favored by medical professionals and others who spend long hours on their feet. 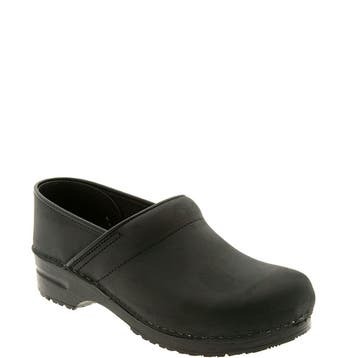 Style Name: Dansko 'Professional' Clog (Women). Style Number: 230661. Available in stores. Goldtone studs and fringe accents augment the retro-chic style of a mule-inspired clog that provides signature Dansko comfort with a sturdy platform sole and arch-supporting cushioning. 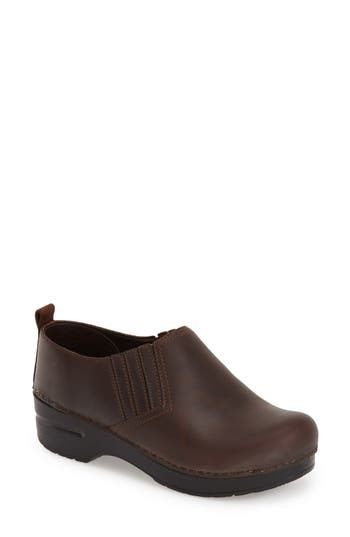 Style Name: Dansko 'Deni' Clog (Women). Style Number: 5129714. Available in stores. Glittering patent leather with an eye-catching check print distinguishes a comfort-minded clog designed with a wide build, padded anatomical footbed and roomy toe box. A signature rocker platform helps propel the foot forward as you walk, while a nonslip rubber sole ensures multisurface traction. Style Name: Dansko 'Wide Pro' Clog (Women). Style Number: 5129792. Available in stores. This cozy suede clog features a soft blanket-weave cuff at the topline and a generously padded insole to keep feet warm and comfortable in any weather. A grippy floral-pattern sole provides added traction everywhere you go. 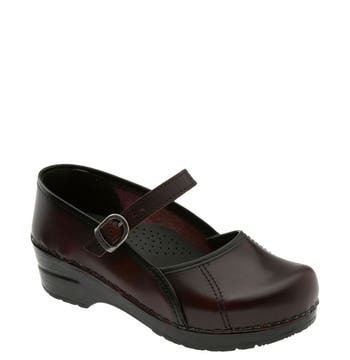 Style Name: Dansko 'Brittany' Clog (Women). Style Number: 5129865. Available in stores. A lightweight fan-favorite clog fashioned with striped patent leather offers long-wearing support thanks to a memory-foam footbed and slip-resistant outsole. Style Name: Dansko 'Pro Xp' Patent Leather Clog (Women). Style Number: 5015853 1. Available in stores. Sleek braided trim lends a delicate, feminine touch to a rich leather clog set on a chunky lugged heel. 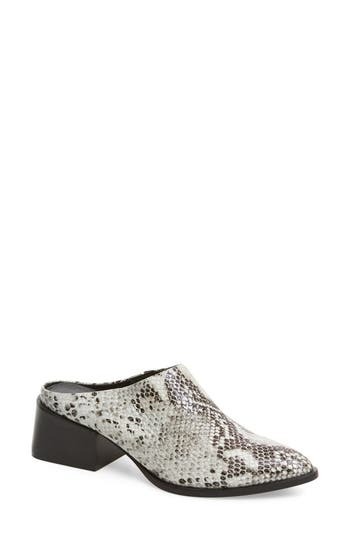 Style Name: Mia 'Elsa' Clog (Women). Style Number: 5026353. Available in stores. A trend-right pointy toe balances the blocky stacked heel of a sophisticated, versatile mule fashioned from richly grained leather. Style Name: Sol Sana Camille Pointy Toe Mule (Women). Style Number: 5234761. Available in stores. A soft leather clog features a patented eggcrate footbed and a supportive steel shank for ultimate comfort. Style Name: Softwalk 'Murietta' Clog. Style Number: 55492 10. Available in stores. Shiny leather shapes a closed-toe mary jane with an adjustable buckle strap and contrast piping detail. 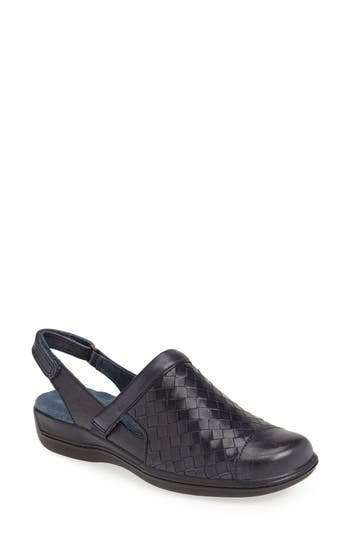 Style Name: Dansko 'Marcelle' Mary Jane. Style Number: 195687. Available in stores. A versatile Swedish clog with '70s-inspired styling features a supportive, contoured footbed and a convertible, adjustable belt that flips back to serve as a slingback strap. 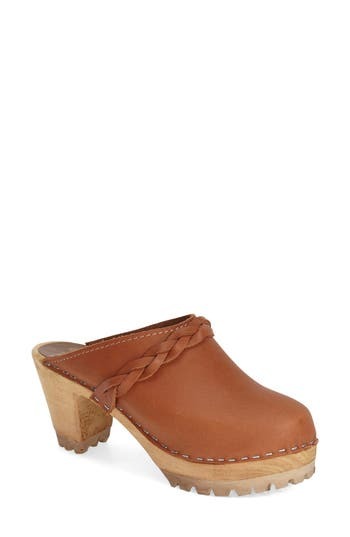 Style Name: Mia 'Alma' Clog (Women). Style Number: 5026435. Available in stores. Cozy wool woven in the USA and studded leather trim top a chunky block heel perfect for stomping into fall style. Style Name: Woolrich 'Journalist' Platform Mule Clog (Women). Style Number: 813771. Available in stores. Supportive, comfort-minded clog is designed with a padded anatomical footbed and roomy toe box. Signature rocker platform helps propel the foot forward as you walk. 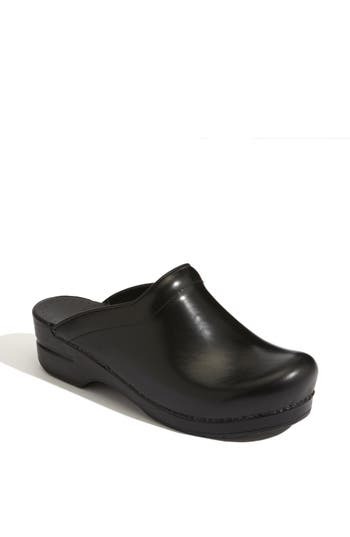 Style Name: Dansko 'Professional' Oiled Leather Clog. Style Number: 92758. Available in stores.